In 2017, the order Mononegavirales was expanded by the inclusion of a total of 69 novel species. Five new rhabdovirus genera and one new nyamivirus genus were established to harbor 41 of these species, whereas the remaining new species were assigned to already established genera. Furthermore, non-Latinized binomial species names replaced all paramyxovirus and pneumovirus species names, thereby accomplishing application of binomial species names throughout the entire order. This article presents the updated taxonomy of the order Mononegavirales as now accepted by the International Committee on Taxonomy of Viruses (ICTV). Members of the International Committee on Taxonomy of Viruses (ICTV) Bornaviridae, Filoviridae, Mononegavirales, Nyamiviridae, Paramyxoviridae, and Rhabdoviridae Study Groups who co-authored this manuscript are listed in “Acknowledgements”. The virus order Mononegavirales was established in 1991 to accommodate related viruses with nonsegmented, linear, single-stranded negative-sense RNA genomes. These viruses were initially assigned to three mononegavirus families: Filoviridae, Paramyxoviridae, and Rhabdoviridae [32, 33]. The families Bornaviridae and Nyamiviridae joined the order in 1996  and 2014 [1, 25], respectively, followed by the families Mymonaviridae, Pneumoviridae, and Sunviridae in 2016 . The order was continuously amended in 1995 , 1997 , 2000 , 2005 , 2011 , and 2016 . In 2016, the Study Groups of the International Committee on Taxonomy of Viruses (ICTV) responsible for the taxonomy of the order and its eight families assigned unclassified mononegaviruses to existing or novel taxa and continued efforts to streamline order nomenclature. Here we present the changes that were (re)proposed via official ICTV taxonomic proposals (TaxoProps) at http://www.ictvonline.org/ in 2016 and that were accepted by the ICTV Executive Committee. These changes are official ICTV taxonomy as of 2017. No changes were made at the order level. The family Bornaviridae remains monogeneric but was expanded in 2017 by one species (Mammalian 2 bornavirus) for the newly discovered variegated squirrel bornavirus 1  (TaxoProp 2016.013aM.A.v1.Bornavirus_sp). No changes were made to this family. The family Nyamiviridae was expanded to include a third genus (Peropuvirus) including the new species Pteromalus puparum peropuvirus for a virus recently discovered in parasitoid wasps, Pteromalus puparum negative-strand RNA virus 1  (TaxoProp 2016.015a-dM.A.v1.Peropuvirus). The non-Latinized binomial species name format  was applied throughout the family Paramyxoviridae (TaxoProp 2016.011aM.A.v2.Paramyxoviridae_spren). In addition, the genus Avulavirus was expanded by one novel species, Avian avulavirus 13, for avian paramyxovirus 13 discovered in geese [19, 24, 47] (TaxoProp 2016.001a,bM.A.v2.Avulavirus_spren). The genus Rubulavirus was expanded by 10 species to accommodate two long-known viruses (e.g., Menangle virus, Tioman virus) and eight newly discovered bat viruses (bat mumps virus, Achimota viruses 1 and 2, Sosuga virus, Teviot virus, Tuhoko viruses 1–3) [3, 5, 11, 12, 16, 26] (TaxoProp 2015.016aM.A.v3.Rubulavirus_10sp). Finally, the previous species name Newcastle disease virus was changed to Avian avulavirus 1 to reflect the fact that “Newcastle disease virus” is but one strain of the member virus of this species, avian paramyxovirus 1 (APMV-1)  (TaxoProp 2016.001a,bM.A.v2.Avulavirus_spren). The non-Latinized binomial species name format  was applied throughout the family Pneumoviridae (TaxoProp 2016.012aM.A.v1.Pneumoviridae_spren). The most extensive changes were introduced into the family Rhabdoviridae. The new genus Almendravirus was created to include five new species (TaxoProp 2016.002a-dM.A.v3.Almendravirus) to accommodate mosquito viruses discovered from 2009–2013 (Arboretum virus, Balsa virus, Coot Bay virus, Puerto Almendras virus, and Rio Chico virus) [13, 43, 44]. The new genus Curiovirus, including four new species, was created for unclassified dipteran viruses known since the 1970s–80s (Curionopolis virus, Iriri virus, Itacaiunas virus, Rochambeau virus) (TaxoProp 2016.003a-dM.A.v3.Curiovirus) [14, 15, 44]. Twelve mostly dipteran viruses (Hart Park virus, Gray Lodge virus, Joinjakaka virus, Kamese virus, La Joya virus, Landjia virus, Manitoba virus, Marco virus, Mosqueiro virus, Mossuril virus, Ord River virus, and Parry Creek virus), isolated in the 1950s to late 1970s, were classified into twelve new species in the new genus Hapavirus. 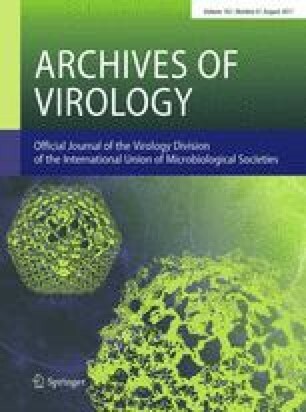 The previously free-floating rhabdovirus species Flanders virus, Ngaingan virus, and Wongabel virus were moved into the genus Hapavirus and renamed accordingly (Flanders hapavirus, Ngaingan hapavirus, and Wongabel hapavirus, respectively) [4, 21, 44] (TaxoProp 2016.005a-gM.A.v4.Hapavirus). The largest newly created rhabdovirus genus is Ledantevirus. This genus includes 14 new species for Barur virus, Fikirini virus, Fukuoka virus, Kern Canyon virus, Keuraliba virus, Kolente virus, Kumasi rhabdovirus, Le Dantec virus, Mount Elgon bat virus, Nkolbisson virus, Nishimuro virus, Oita virus, Wǔhàn louse fly virus 5, and Yǒngjiā tick virus 2, which were isolated from or detected in arthropods and/or mammals [6, 10, 18, 28, 38, 44] (TaxoProp 2016.006a-dM.A.v2.Ledantevirus). Finally, the novel genus Sripuvirus was created to include five new species for sandfly and lizard viruses (Almpiwar virus, Chaco virus, Niakha virus, Sena Madureira virus, and Sripur virus) [29, 41, 44] (TaxoProp 2016.007a-dM.A.v5.Sripuvirus). The existing genus Cytorhabdovirus was expanded by inclusion of the novel species Colocasia bobone disease-associated cytorhabdovirus for a plant virus first described in 1973 in the taro plant (Colocasia esculenta)]  (TaxoProp 2016.017aM.A.v1.Cytorhabdovirus_sp). The genus Ephemerovirus was enlarged by three species to accommodate the long-known bovid viruses Kimberley and Koolpinyah, and the mosquito-borne Malakal and Yata viruses [8, 9] (TaxoProp 2016.004aM.A.v2.Ephemerovirus_3sp). The recently described, possibly human, Bas-Congo virus and Ekpoma viruses 1 and 2, and the biting midge-borne Sweetwater Branch virus were classified into four new species of the genus Tibrovirus [20, 27, 39, 44] (TaxoProp 2016.008aM.A.v3.Tibrovirus_4sp). Klamath virus, discovered in 1962 in a vole, was assigned to a novel species in the genus Tupavirus  (TaxoProp 2016.009aM.A.v2.Tupavirus_sp), and seven new species were added to the genus Vesiculovirus for American bat vesiculovirus (isolated from bats in 2008) and Jurona virus, Malpais Spring virus, Morreton virus, Perinet virus, Radi virus, and Yug Bogdanovac virus (isolated from mosquitoes or sandflies in 1962–1986) [22, 30, 31, 42, 44] (TaxoProp 016.010aM.A.v3.Vesiculovirus_7sp). Finally, the existing species names Oncorhynchus 1 novirhabdovirus (formerly Infectious hematopoietic necrosis virus) and Oncorhynchus 2 novirhabdovirus (formerly Viral hemorrhagic septicemia virus) were changed to Salmonid novirhabdovirus and Piscine novirhabdovirus, respectively, to be more reflective of the host spectrum of their members. (2016.018aM.A.v1.Novirhabdovirus_spren). In 2017, no changes were made to this family. A summary of the current, ICTV-accepted taxonomy of the order Mononegavirales is presented in Table 1. We thank Laura Bollinger (NIH/NIAID Integrated Research Facility at Fort Detrick, Frederick, MD, USA) for critically editing the manuscript. Members of the International Committee on Taxonomy of Viruses (ICTV) Bornaviridae Study Group who coauthored this manuscript: Ralf Dürrwald, Masayuki Horie, Jens H. Kuhn, Norbert Nowotny, Susan L. Payne, Dennis Rubbenstroth, Thomas Briese, Martin Schwemmle, Keizo Tomonaga. Members of the ICTV Filoviridae Study Group who coauthored this manuscript: Gaya K. Amarasinghe, Christopher F. Basler, Alexander Bukreyev, Kartik Chandran, Olga Dolnik, John M. Dye, Hideki Ebihara, Pierre Formenty, Roger Hewson, Gary P. Kobinger, Jens H. Kuhn, Eric M. Leroy, Elke Mühlberger, Sergey V. Netesov, Jean L. Patterson, Janusz T. Paweska, Sophie J. Smither, Ayato Takada, Jonathan S. Towner, Viktor E. Volchkov, Victoria Wahl-Jensen. Members of the ICTV Mononegavirales Study Group who coauthored this manuscript: Ralf G. Dietzgen, Jens H. Kuhn, Gael Kurath, Bertus K. Rima, Norbert Nowotny, Andrew J. Easton, Dennis Rubbenstroth, Nikos Vasilakis, Peter J. Walker. Members of the ICTV Nyamiviridae Study Group who coauthored this manuscript: Ralf G. Dietzgen, Elodie Ghedin, Dàohóng Jiāng, Jens H. Kuhn, Nikos Vasilakis, David Wang. Members of the ICTV Paramyxoviridae Study Group who coauthored this manuscript: Peter L. Collins, Andrew J. Easton, Ron A. M. Fouchier, Gael Kurath, Robert A. Lamb, Andrea Maisner, Bertus K. Rima, Paul Rota, Benhur Lee, Ming Li, Lin-Fa Wang. Members of the ICTV Rhabdoviridae Study Group who coauthored this manuscript: Kim R. Blasdell, Charles H. Calisher, Ralf G. Dietzgen, Hideki Kondo, Gael Kurath, David M. Stone, Robert B. Tesh, Noël Tordo, Nikos Vasilakis, Peter J. Walker, Anna E. Whitfield. The views and conclusions contained in this document are those of the authors and should not be interpreted as necessarily representing the official policies, either expressed or implied, of the US Department of the Army, the US Department of Defense, the US Department of Health and Human Services, the Department of Homeland Security (DHS) Science and Technology Directorate (S&T) or of the institutions and companies affiliated with the authors. In no event shall any of these entities have any responsibility or liability for any use, misuse, inability to use, or reliance upon the information contained herein. The US departments do not endorse any products or commercial services mentioned in this publication. This work was supported in part through Battelle Memorial Institute’s prime contract with the US National Institute of Allergy and Infectious Diseases (NIAID) under Contract No. HHSN272200700016I. An employee of Battelle Memorial Institute is: A. Bochnowski. A subcontractor to Battelle Memorial Institute who performed this work is: J.H.K., an employee of Tunnell Government Services, Inc. This work was also funded in part under Contract No. HSHQDC-15-C-00064 awarded by DHS S&T for the management and operation of the National Biodefense Analysis and Countermeasures Center (NBACC), a Federally Funded Research and Development Center (V.W.-J. ); and National Institutes of Health (NIH) contract HHSN272201000040I/HHSN27200004/D04 and Grant R24AI120942 (N.V., R.B.T.). Y.B. was supported by the Intramural Research Program of the NIH, National Library of Medicine.